Dive deep into the proven, research-based Gottman Method approach for treating couples impacted by affairs and trauma. This in-depth course will provide you, the clinician, with an unbiased roadmap to compassionately serve your clients and provide hope as they struggle to rebuild a collapsed Sound Relationship House. 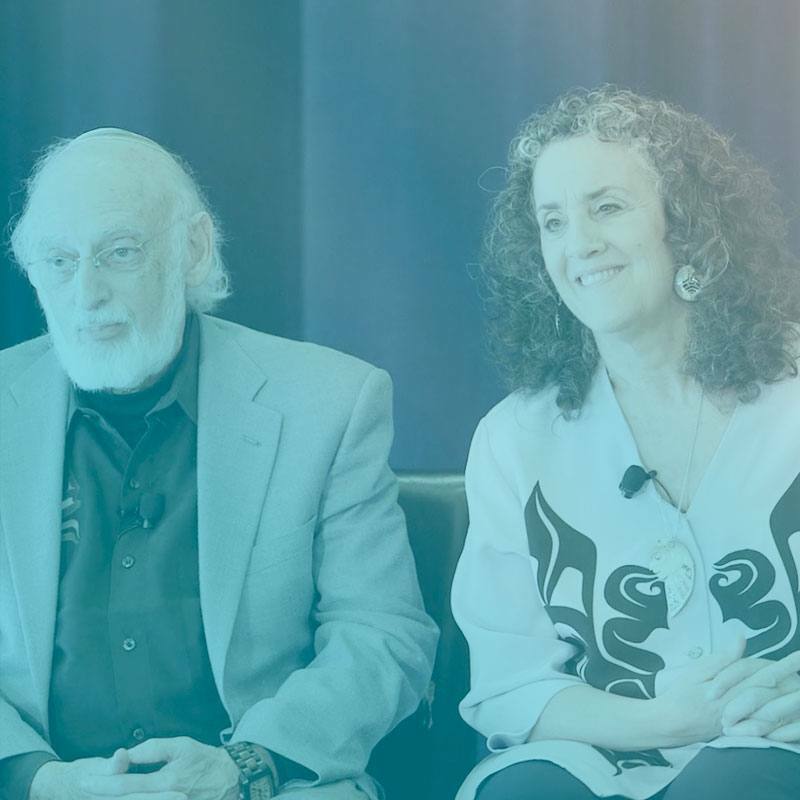 Dr. Julie Gottman describes the impact of PTSD on committed relationships using real examples of trauma caused by early abandonment, childhood abuse, and military combat. She demonstrates a therapeutic approach that interweaves individual PTSD treatment with Gottman Method Couples Therapy. Watch Paul and Shantel, the couple featured in our Level 1 Clinical Training and Therapy Sessions: Live videos, as they return to therapy with the Gottmans eight years later. These new films demonstrate powerful couples interventions for PTSD and trauma. 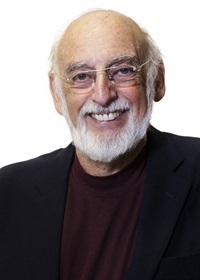 Dr. John Gottman unfolds the science behind trust and betrayal and provides the tools needed to create trust and commitment in love relationships. The Gottmans describe their impactful “Atone, Attune, and Attach” model for treating affairs. This model provides clinicians with an unbiased approach that compassionately serves both partners as they struggle to rebuild a collapsed marriage. See brand new films of the Gottmans in their clinical office engaging in intensive therapy with a military couple, a case in which the husband had an affair and suffered from PTSD following his 12 back-to-back deployments overseas. Learn the important variations in assessment and intervention techniques that empower couples to not only rebuild their relationship, but also create immunity from future betrayals. Compare and contrast the psychometric soundness of assessment instruments used to diagnose PTSD, including tools for structured interviews, self-report scales, and psycho-physiological assessment methods. Distinguish between the neurobiological changes associated with PTSD that occur in the amygdala, anterior cingulate cortex, prefrontal cortex and hippocampus. Evaluate the effectiveness of popular individual therapies for treating PTSD. Compare and contrast research studies on couples therapy methods for treating PTSD. Defend the practice of conducting conjoint therapy to address PTSD during couples therapy by referencing the relevant research findings on the impact of PTSD on relationships, as well as the relationship outcomes associated with individual PTSD treatment. Implement clinical strategies that help “surface” trauma when working with a couple with PTSD. Select clinical interventions that help “explore” trauma at a deeper level once it has surfaced. Facilitate movement from the individual to the dyad when processing a trauma. Teach couples how to conduct a Stress-Reducing Conversation when PTSD is involved. Teach couples how to conduct an Aftermath of a Regrettable Incident Exercise when PTSD is involved. Compare and contrast popular therapies for treating infidelity. Explain how the 24 steps of the “Gottman-Rusbult-Glass” cascade toward betrayal lead to a blurring of boundaries between self and potential others. Explain how a betrayed partner may develop PTSD as a result of their partner’s affair. Apply the Gottman Method Couples Therapy Assessment process with couples who have experienced an affair. Incorporate appropriate additional details when conducting an Assessment feedback session for treating affairs. Facilitate the Atonement phase of Gottman Method Couples Therapy for affairs. Defend the practice of allowing the hurt partner to express anger, insecurity, resentment, fear and feelings of rejection, rather than down-regulating their expression of emotion. Implement appropriate clinical tools to strengthen an affair couple’s Attunement to each other. Teach affair couples how to effectively process Regrettable Incidents. Select appropriate clinical interventions to deepen an affair couple’s Attachment to one another. Apply effective clinical strategies to help affair couples prevent relapse. DISCLAIMER: This course is designed for clinical professionals and it exposes participants to video of therapy sessions that include discussion of topics such as domestic violence, combat violence, and complex family planning choices. Prerequisites: As this is an advanced Gottman Training, we expect learners to have a basic understanding of the Gottman Method. Clinical training in Gottman Method Couples Therapy (at least Level 1 Training) is required. This training provides continuing education hours (CEs) for Licensed Marriage and Family Therapists (LMFT), Psychotherapists, Psychologists, Social Workers, and other mental health professionals. Listed below are the continuing education credit(s) currently available for this non-interactive self-study package. Please note, your state licensing board dictates whether self-study is an acceptable form of continuing education. Please refer to your state rules and regulations. If your profession is not listed, please contact your licensing board to determine your continuing education requirements and check for reciprocal approval. For other credit inquiries not specified below, please contact cepesi@pesi.com or 800-844-8260 before the event. Provider #120924. This course has been approved as a CCB approved training and has been awarded 17.25 hours by the Connecticut Certification Board. This self-study activity consists of 17.0 clock hours of continuing education instruction. Credit requirements and approvals vary per state board regulations. Please save the course outline, the certificate of completion you receive from the activity and contact your state board or organization to determine specific filing requirements. This self-study activity consists of 17.25 clock hours of continuing education instruction. Credit requirements and approvals vary per state board regulations. Please save the course outline, the certificate of completion you receive from the activity and contact your state board or organization to determine specific filing requirements. PESI, Inc. is recognized by the New York State Education Department’s (NYSED) State Board for Mental Health Practitioners as an approved provider of continuing education for Licensed Mental Health Counselors. #MHC-0033. This self-study activity will qualify for 20.50 contact hours. Full attendance is required; no partial credits will be offered for partial attendance. PESI, Inc. has been approved as a continuing education sponsor through the Texas State Board of Examiners of Professional Counselors. Provider #: 2477. This self-study course qualifies for 17.0 continuing education credits. This program has been approved for 17.0 continuing education hours by the South Carolina Board of Examiners for Licensure of Professional Counselors, Marriage and Family Therapists, and Psycho-Educational Specialists. Approval #4540. This self-study activity consists of 17.25 clock hours of continuing education instruction. Credit requirements and approvals vary per state board regulations. Please save this course outline, the certificate of completion you receive from this self-study activity and contact your state board or organization to determine specific filing requirements. PESI, Inc. has been approved as a provider of continuing education by the State of Illinois, Department of Professional Regulation. Provider #:168-000156. Full attendance at this self-study activity qualifies for 17.0 credits. PESI, Inc. is recognized by the New York State Education Department’s (NYSED) State Board for Mental Health Practitioners as an approved provider of continuing education for Licensed Marriage and Family Therapists. #MFT-0024. This self-study activity will qualify for 20.5 contact hours. Full attendance is required; no partial credits will be offered for partial attendance. PESI, Inc. has been approved as a continuing education sponsor through the Texas State Board of Examiners of Marriage and Family Therapists. Provider # 503. This self-study package qualifies for 17.0 continuing education credits. PESI, Inc. is a provider approved by the California Board of Registered Nursing, Provider #: 13305 for 17.0 self-study contact hours. PESI, Inc. is an approved provider by the Florida Board of Nursing. Provider #: FBN2858. These materials qualify for 17.0 self-study contact hours. ** Florida Participants Only: To automatically be reported to CE Broker, after completing and passing the online post-test/evaluation, please contact cepesi@pesi.com. You will need to provide the full title of the activity, speaker name, date of live broadcast, your name and your license number in the email. PESI, Inc. is an approved provider by the Iowa Board of Nursing. Provider #: 346. Nurses successfully completing these self-study materials will earn 17.2 self-study contact hours. Please email cepesi@pesi.com with your license number, include the title, speaker name and date. PESI must have this number on file in order for your hours to be valid. This intermediate activity is approved for 17.25 clock hours of continuing education instruction. Credit requirements and approvals vary per state board regulations. Please contact your licensing board to determine if they accept programs or providers approved by other national or state licensing boards. A certificate of attendance will be awarded at the end of the program to participants who are in full attendance and who complete the program evaluation. PESI, Inc. is approved by the Canadian Psychological Association to offer continuing education for psychologists. PESI, Inc. maintains responsibility for the program. This program is approved for 17.0 self-study continuing education hours. PESI, Inc., is an approved provider with the Florida Board of Psychology. Provider Number BAP #77. This product qualifies for 17.2 self-study continuing education credits. ** Florida Participants Only: To automatically be reported to CE Broker, after completing and passing the online post-test/evaluation, please contact cepesi@pesi.com to have your Florida credits reported to CE Broker. You will need to provide the full title of the activity, speaker name, date of live broadcast, your name and your license number in the email. PESI, Inc., #1062, is approved as a provider for social work continuing education by the Association of Social Work Boards (ASWB), www.aswb.org through the Approved Continuing Education (ACE) Program. PESI, Inc. maintains responsibility for the program. ASWB Approval Period: January 27, 2017-January 27, 2020. Licensed Social Workers should contact their regulatory board to determine course approval for continuing education credits. Social Workers participating in the course will receive 17.25 (Clinical) continuing education clock hours for completing this intermediate self-study package. A certificate of attendance will be awarded at the end of the program to social workers who complete the program evaluation and pass the post-test. PESI, Inc., #1062, is approved as a provider for social work continuing education by the Association of Social Work Boards (ASWB), www.aswb.org through the Approved Continuing Education (ACE) Program. PESI, Inc. maintains responsibility for the program. ASWB Approval Period: January 27, 2017-January 27, 2020. Licensed Social Workers should contact their regulatory board to determine course approval for continuing education credits. Social Workers participating in the course will receive 17.25 (Clinical) continuing education clock hours for completing this intermediate self-study package. A certificate of attendance will be awarded at the end of the program to social workers who complete the program evaluation and pass the post-test. Canadian provinces may accept activities approved by the ASWB for ongoing professional development. PESI, Inc. is an approved provider with the Colorado Chapter of the National Association of Social Workers. Provider #1413. This self-study course has been approved for 17.2 continuing education hours. PESI, Inc. is an approved provider with the State of Illinois, Department of Professional Regulation. License #: 159-000154. Successful completion of this self-study activity qualifies for 17.0 contact hours. PESI, Inc. is an approved provider with the Kansas Behavioral Sciences Regulatory Board. Provider #14-006. This self-study course has been approved for 17.0 continuing education hours. PESI, Inc. is an approved provider with the State of Minnesota, Board of Social Work. Provider #: CEP-140. This self-study package has been approved for 17.0 continuing education hours. This certificate has been issued upon successful completion of a post-test. PESI, Inc. is recognized by the New York State Education Department’s (NYSED) State Board for Social Work as an approved provider of continuing education for licensed social workers #SW-0008. This self-study activity will qualify for 20.5 contact hours. Full attendance is required; no partial credits will be offered for partial attendance. This intermediate activity consists of 17.0 clock hours of continuing education instruction. Credit requirements and approvals vary per state board regulations. Please contact your licensing board to determine if they accept programs or providers approved by other national or state licensing boards. A certificate of attendance will be awarded at the end of the program to participants who are in full attendance and who complete the program evaluation. PESI, Inc. is an approved provider with the Florida Board of Clinical Social Work, Marriage and Family Therapy and Mental Health Counseling. Provider Number BAP #77. This self-study course qualifies for 17.25 continuing education credits. This self-study activity qualifies for 17.25 continuing education clock hours as required by many national, state and local licensing boards and professional organizations. Save your activity advertisement and certificate of completion, and contact your own board or organization for specific requirements. No, you do not need to be certified in Gottman Method Couples Therapy to take this training. Because this is an advanced Gottman Specialty Training, it requires participants to have a basic understanding of Gottman terminology and interventions upon arrival. Core clinical training in Gottman Method Couples Therapy (at least Level 1) is required. Click here for the Level 1 Clinical Training online course or view a calendar of live trainings. No. This online training is designed as an adjunct clinical training that provides additional intensive focus and experience working with co-morbidities in couples therapy. The training sequence to become a Certified Gottman Therapist requires that you complete the full Level 1, 2, and 3 Clinical Trainings before entering the Certification Track. This training is specifically designed to help professionals work more effectively with complex couples in distress. It provides expanded and specialized training for the treatment affairs and trauma. I really like the Gottman Method and I was planning to complete Level 2 Clinical Training. Would you recommend that I take this training first, or should I complete Level 2 first? We recommend that you take the Gottman Level 2 Clinical Training in Assessment, Intervention, and Co-Morbidities first. The Level 2 Clinical Training provides a more complete understanding of Gottman Method Couples Therapy and provides an introduction to treating co-morbidities, which this workshop expands upon. No. Online courses that include manuals come with a downloadable PDF manual. This course does not offer a printed manual for purchase.